____ WhereIsHolden? : Back in Los Angeles -- but not for long! Back in Los Angeles -- but not for long! Just wanted to post a quick one to let folks know that I made it back from Nome, Alaska just fine where I had an awesome time visiting friends, meeting the Nomites, and welcoming the mushers and dogs of the 36th Iditarod Dog Sled Race -- an update will be forthcoming on those topics! Bikes and sports cars rule, but classy bikes on the back of sports cars rule even more! 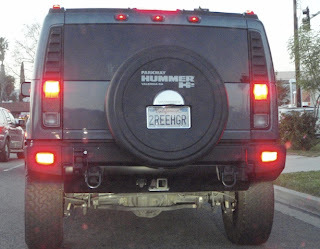 There are still idiots in the world, like this "treehugger" Hummer driver. 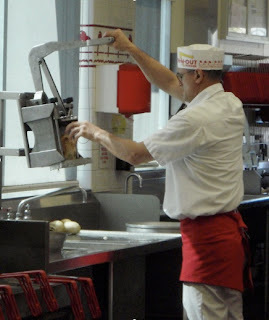 And In-N-Out still makes their fries from fresh potatoes, so all is right in the world! More to come, if I can find some time! Fair enough, good call, Anne. 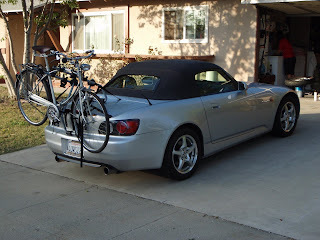 In my defense, though, my car is not (consistently) used as a daily commuter car (that's where the bicycle came in last year, and being out of the country this year comes in). Regarding In-N-Out, you know how I feel about fast food, but in many categories, these guys are the exception to the rule. If anyone has any info (or can find some) about In-N-Out's environmental impact, I'd love to hear about it! ps. Anne, enjoy the drive on the coast! 1 more day to Enroll! Narrating videos the world over.